DAY 01: PUNO – UMAYO LAKE – SILLUSTANI – ATUNCOLLA VILLAGE: Atuncolla village located 28 km away northwest of the city of Puno, a car trip of 45 minutes. We continue to Cacsi community from where we take a boat ride on Umayo Lake to visit a natural Island and watch some South American camelids as vicuña, alpaca, llama and some hybrids. Then we will visit Sillustani which is a peninsula, where on the top of the hill lies a cemetery, stone tombs (Chullpas) from pre-Inca times, up to 12 meters high built by Kolla and Inca religious leaders 3000 years ago to bury their leaders, there are over 90 tombs of different sizes and shapes. Umayo lake lies at the foot of the Chullpas which surrounds to Sillustani and adds a great beauty to the landscape. On the shores of the Lake you may observe some types of agriculture irrigations called waru waru, platforms surrounded by water channels which creates a special microclimate that served as protection for crops against frost, this technique was created by Pucara culture. Also there are different types of birds and various wild animals as vizcachas (South American rodent). Lunch included at farm house. In the afternoon relax and explore the surroundings on your own. Dinner included at farm house. Overnight at Atuncolla community. 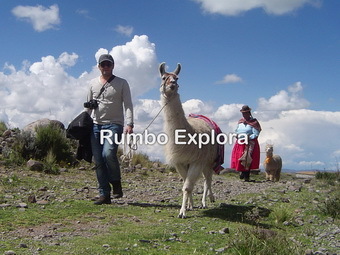 DAY 02: TREK WITH LLAMAS – FARMING ACTIVITIES – PUNO: Breakfast included at farm house. Afterwards a local family will wait for you with llamas. Then we start our walking for about 1:30 hours, which is a unique experience where visitors can experience about Peruvian culture and it´s past. We return to our guest house, on the way you will enjoy the beautiful landscapes of the high plateau, country houses, farming terraces and much more. Lunch included at farm house. On the way you will appreciate the custom of local people (Collas) living in their typical houses made of stone, clay and straw. 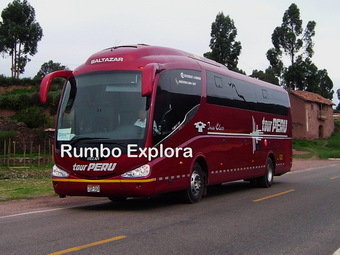 Then return to Puno a car trip of 45 minutes. Overnight in Puno. 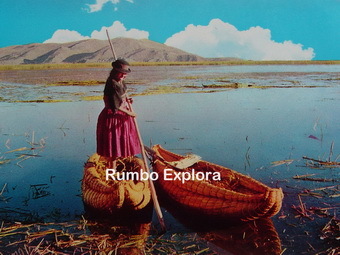 WHAT IS INCLUDED: The prices INCLUDE entrance fees to archaeological site of Sillustani US$5.0, private tourist transportation for 02Days, private guide for 02Days, trekking with llamas US$20, boat ride on Umayo lake US$15, accommodation + all meals at farm house, mineral water, farming activities (with locals). Besides pre-trip information + organization and all local taxes. There are no hidden extras in our prices. In the price now includes all money transfer fees. Our tourist transportation vehicles have nation wide circulation permit and 2 types of insurance (Certificate of Statutory Accident Insurance Transit SOAT, besides has vehicle Insurance Policy to all risks in record) + oxygen & first aid kit + panoramic windows + reclining & confortable seats, exclusive for our demanding customers. NOT INCLUDED: Drinks, extras, tips. Share the post "Sillustani Cultural + Horse Riding – 02 Days"